Forty years ago, James O’Connor published The Fiscal Crisis of the State. It was a timely intervention seeking to explain the collapse of the postwar consensus characterized by an extended period of economic growth, wage gains by workers and modest inflation. This period of economic growth (which today is often erroneously considered to be the ‘normal’ process of capitalist development to which we either can or should return) was embedded within a policy framework of Keynesian demand management. 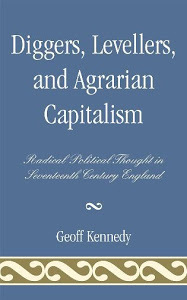 O’Connor’s book was a Marxist antidote to the emerging New Right critique that sought to explain the collapse of the postwar order as the result of the excessive demands of pluralism: the ‘excessive government’ or ‘excessive democracy’ thesis popularized later in the decade by Thatcher and Reagan. New Right theorists were promoting the Hayekian line that the ‘special interests’ (often referred to by Hayek as ‘sinister’ interests) empowered by a supposedly ‘unlimited democracy’ had resulted in the unsustainable expansion of the state. Instead, O’Connor sought to explain the crisis in relation to what he considered to be a structural contradiction of the capitalist state. On the one hand, the state needs to ensure that an economic environment conducive to continued capital accumulation is established and maintained. In this regard, state expenses are referred to as social capital expenditures. Social capital can be further divided into forms of social investment – consisting of ‘projects and services that increase the productivity of a given amount of laborpower and … increase the rate of profit’ – and forms of social consumption – consisting of ‘projects and services that lower the reproduction costs of labour and … increase the rate of profit.’ It is important to point out that the state does this not only as a result of the political pressure of organized business interests, but also due to its structural dependence – through tax revenues – on the very capital accumulation it seeks to facilitate. The general thesis of O’Connor’s book deserves to be quoted at length. Thus, the fiscal crisis of the state is created by the socialization – by the state – of the costs of the private appropration of capital accumulation. In our present day context, the socialization of the costs of the banking crisis has resulted in the fiscal crisis of the capitalist states of America and the Eurozone. Countries like Ireland, which were once models of neo-liberal development – complete with balanced books – were plunged overnight into fiscal crises, not – as the neoliberal apologists insist – as a result of profligate spending, but as a result of the socialization of the costs of private appropration emphasized by O’Connor forty years ago. The ‘sequestration’ in the US (a euphemism for austerity) is implemented to pay the costs of saving Wall Street from itself. Important social services – the social expenditures that are important for legitimizing the state and maintaining social order – are being sacrificed to recapitalize the banks. But this is only part of the story. The second point relates to the politics of fiscal crisis, which we can relate to the politics of austerity in our own time. The struggle of ‘special interests’ occurs within this context of fiscal crisis, it does not cause it; and the struggle is one of the demands for social capital versus the demands – by workers in particular – for programmes of social consumption. The outcome is determined politically. Here, there are some important differences between the crisis that O’Connor was seeking to explain and the crisis we now find ourselves in. First, the neoliberal attack on the practices and institutions of pluralism (and corporatism in the European context) over the past thirty years means that the politics of the crisis may play out a bit differently than in the seventies. The outbreak of mass protest across the capitalist world – from the street demonstrations of Greece, the Indignados of Spain, the 5 Star Movement in Italy and the Occupy Wall Street movement in the US may be indicative of the way n which traditional institutions of liberal democracy have systematically been dismantled be neoliberal forces. Whereas the seventies saw sustained trade union unrest based on traditional class based politics alongside the outbreak of issue oriented ‘post-materialist’ politics of the new social movements, today we are perhaps seeing a more broad based anti-systemic movement protesting against the entire plutocratic system.Secondly, austerity is not about resolving the fiscal crisis. After all, that could be done by turning the banks into public utilities and implementing a small tax on speculative forms of financial transactions. It is also not about helping finance capital to recover its losses or recapitalize. That, after all, had been achieved by the bailout; and despite the record levels of unemployment, the stock market is doing just fine, even in the European periphery where unemployment has reached crisis proportions. It is also not about earmarking any social surplus for the purposes of social capital expenditures. Indeed, these have been vociferously opposed by powerful vested interests amongst the ruling class – particularly in America. Some argue that austerity is merely about laying the boots to the workers. I think there is truth to this claim, but the workers have had the boots laid into them consistently since the late 1970s; and with much success, to which the declining rates of union density attest. Rather, austerity is about opening up new areas of investment to enable finance capital to continue its expansion. The main difference between the crisis of O’Connor’s time and ours is the degree to which capitalism has undergone a process of financialization (which is an entire subject in its own right). In general, however, I think the book is still relevant, for it highlights not just the root causes behind the fiscal crisis (i.e., the socialization of risk by the state for capital), it also emphasizes the contradictory nature of the class interests that are struggling against one another within the context of crisis. There is no Irish tide that lifts all boats.